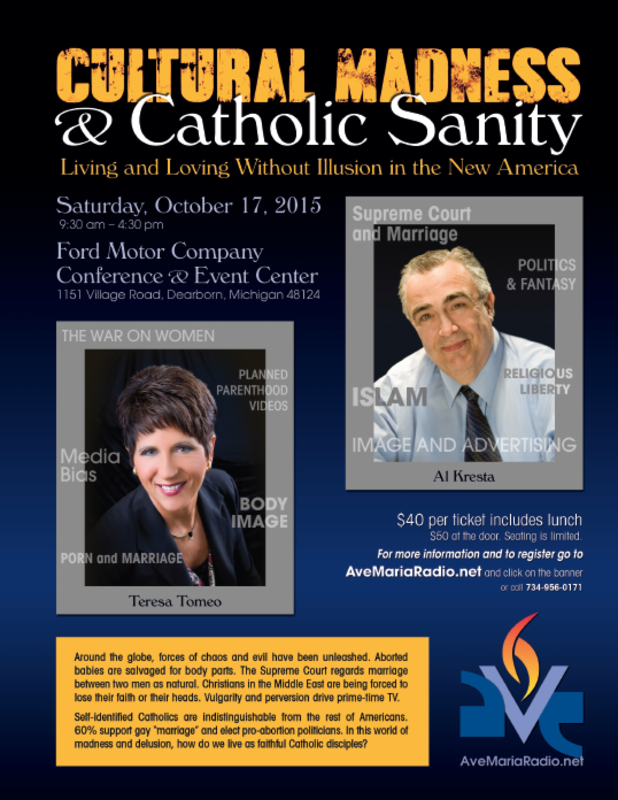 If you live in SE Michigan I highly recommend you join Al Kresta and Teresa Tomeo with their conference exposing the craziness of our culture and the clarity and sanity within the Catholic Church and her teaching. 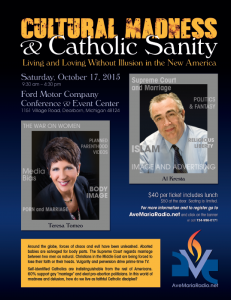 Both of these speakers are on the cutting edge of these issues and are ready to teach the truth Saturday, October 17 at the Ford Motor Company Conference Center. For more information or to register call 734-956-0171 or visit www.AveMariaRadio.net.